Wax in the D is a group of artists in the greater Detroit metropolitan area that work in encaustic (hot wax). The primary goal of the group is to share ideas, get feedback, and develop our creative voice. Members are encouraged to share their work, techniques, and advice to create a supportive environment that will grow with us as we develop as artists. We are excited to present the 2nd Annual Online Wax in the D Exhibition. It features work from a dozen artists who have embraced this exciting medium of creative expression. The artwork shown uses encaustic paint or clear medium in the creation of each piece, and the work ranges from painting to mixed media across a variety of styles. The exhibition will be featured through late 2019. Wax in the D presented “Wax & Paper”, an exhibition of encaustic art by 12 Detroit-area artists and curated by visual artist Candace Law. The show featured an exciting range of artwork where encaustic (hot wax) and paper came into contact and produced a creative expression. 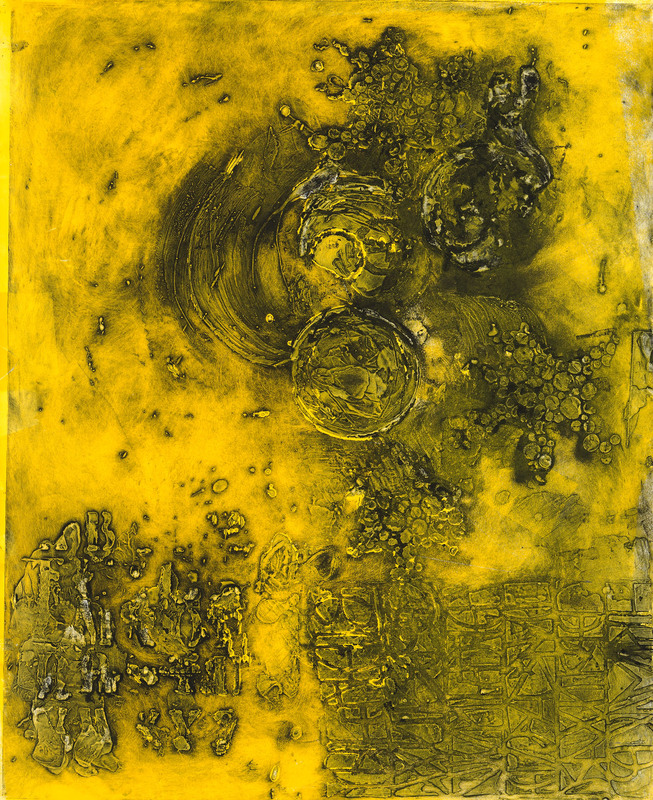 The techniques used include encaustic collagraph and monotype printing, collage, image transfer, and encaustic painting on paper. “My goal in curating this exhibition was to promote a growing awareness of encaustic and to showcase artists who are successfully expanding their vision and their craft by pursuing this challenging art form”. The participating artists were Rosemary Lee (whose First Place work “Effluvial Spheres” is shown here), Melissa Rian, Ruth Warnock, Louise MacDougall, Kathleen McNamee, Jan Key, Gwen Downs-Paradowski, Cindy Rashid, Martha Van Raaphorst, Birgit Huttemann- Holz, Suzanne Allen, and Kim Ensch. The exhibition was on display during March 2018 at the Huron Valley Council for the Arts gallery at 205 W. Livingston Rd. in Highland, MI. 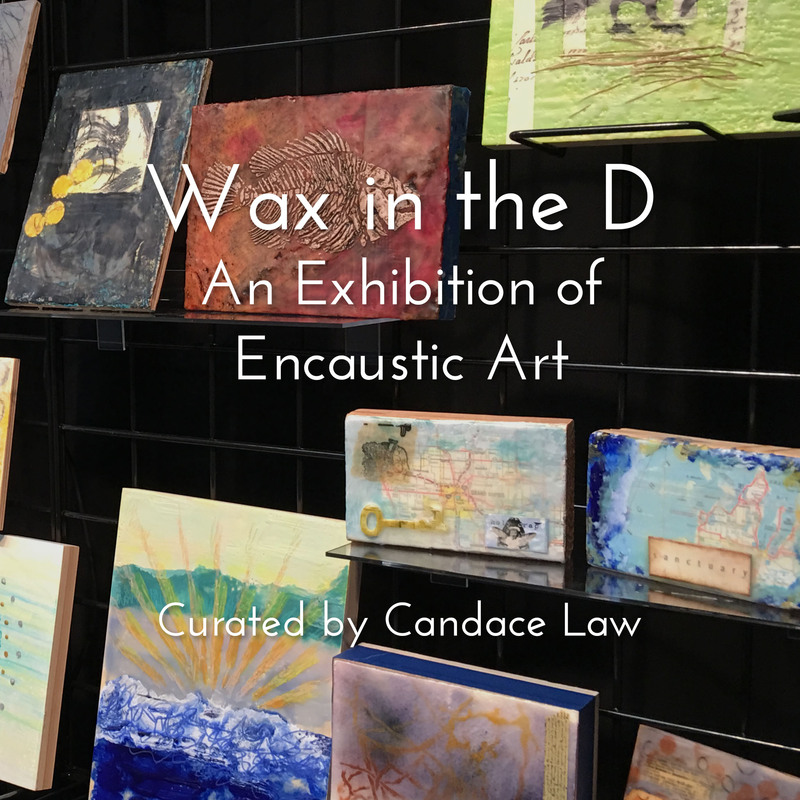 Our inaugural exhibition, “Wax in the D”, featured encaustic art by 15 Detroit-area artists and was curated by visual artist Candace Law. It was at the Gallery@VT at the Village Theater in Canton (MI) during February 2017. The People’s Choice winner, selected during the opening reception, was “Moon Tatoo” (shown here) created by the late Kate Paul. 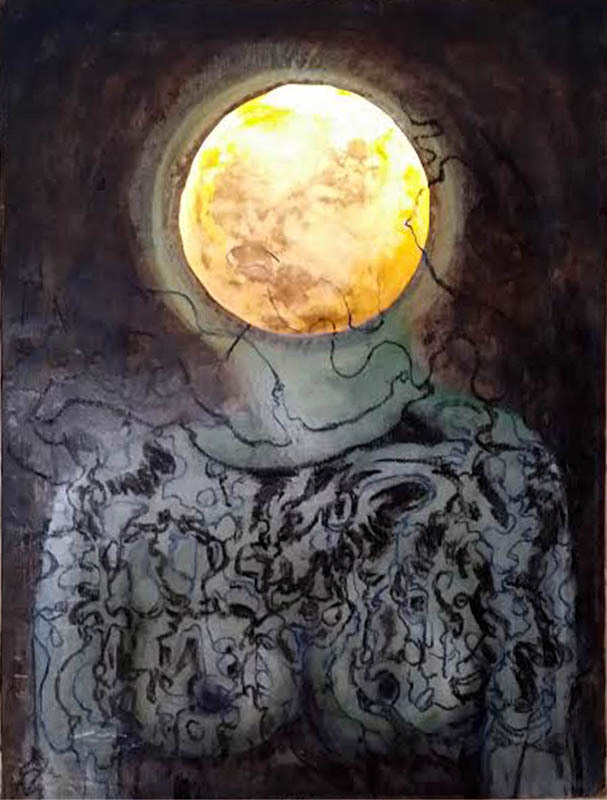 A second, online exhibition was assembled with additional encaustic art and artists to supplement the exhibition at the Village Theater in Canton. Like “Wax in the D”, this companion exhibition showcases artists who are successfully expanding their vision and their craft by pursuing this challenging art form. Click here to view the exhibition online.